In America, the importance of night sleep for infants and children is over stressed. This over emphasis on night sleep, results in infants and children taking shorter naps. It also causes children to drop napping at a much younger age. I think most infants do better with more daytime sleep. But many parents are not willing to forego a longer night of sleep. The amount of day sleep and the number of naps changes very drastically over the first year. How many and how long naps need to be depends on development, total amount of sleep your child wants and the day to night ratio of sleep. Different lengths of sleep are associated with different kinds of benefits. A nap lasting 15-20 minutes is shown to improve alertness and motor performance. Naps lasting 30-60 minutes, improves decision making skills. For sleep lasting over an hour, when deep sleep is achieved, allows the brain to solidify new connections and improve problem solving . As you can see, all lengths of sleep provide benefits. Infants need all these benefits at different times of the day. These benefits show a nap of only 15 minutes can be an important part of your child's sleep. Short naps usually only become a problem if all the naps are short. Most children do best when they have at least one longer nap a day. A long nap is one that lasts over an hour. The main factor in how many naps an infant needs, is the length of time they can maintain wakefulness. The main system running sleep in the first year is the Homeostatic Sleep System. This is the most basic system. This system says, the longer you are awake, the more tired you are. The longer you sleep, the more rested you are. For very young infants, being awake requires a large amount of energy. In fact, being out of the womb requires energy, even when asleep. This is why infants under 3 months sleep often, and for most of the day. As the nervous system develops, an infant gets more efficient at eating and running their automatic systems. This development allows them to be awake for longer periods of time, resulting in fewer naps. The number of naps in those first months are so variable, there is no normal pattern of sleep. After 3 months we see trends in the usual number of naps infants and toddlers take. These averages, are just that, averages. Some children will want more or less naps. But in general, 3-6 month olds take 4-5 naps a day, 6-9 month olds take 2-3 naps a day, 9-12 month old take 1-2 naps a day, and 12-24 month olds take 1 nap a day. As we reach older toddlerhood, some children are ready to drop their naps. Most children are done napping between the 3rd and 4th birthday. There are three main reasons an infant takes short naps. These reasons are, too much night sleep, working to hard to get naps, and getting ready to drop the number of naps. All these reasons have one major root cause, thinking an infant or toddler needs more sleep then they want. So, let's look at each of these causes and how to eliminate them. 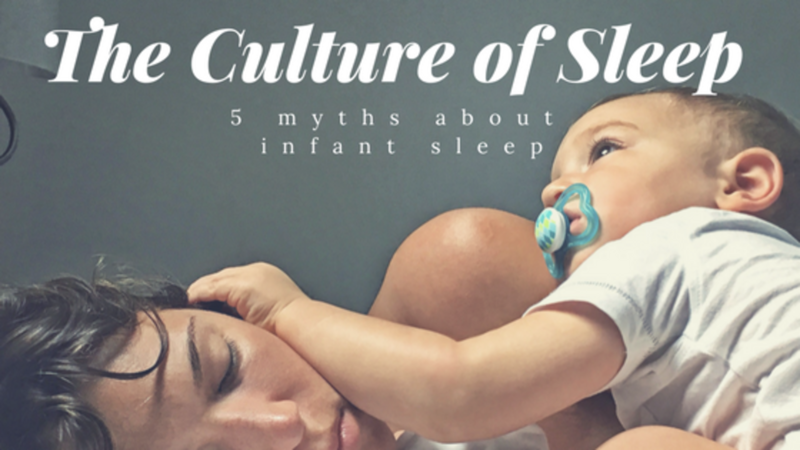 As I discussed in the first blog of this series, most children over 6 months only want to sleep 8-10 hours at night. With a total amount of sleep for 24 hours being in the 11-13 hour range. Let's use an example to show how too much night sleep, creates short naps. Charlie, is a 7 month old who goes to bed at 7:30pm and gets up for the day at 6:30 am. Charlie has some night wakings, but goes back to sleep pretty quickly after eating. During the day Charlie takes 3-4, 30 minute naps. All we have to do is add up the hours of total sleep. Charlie sleeps about 11 hours at night and 1.5-2 hours during the day. This puts Charlie's total sleep at 12.5-13. Right where we would expect a 7 month old to be. There is no need to get Charlie to sleep more. We just need to shorten the night sleep so there is more sleep to use in the day time. The idea of good long naps being important causes many parents spend a lot of the day trying to get, or keep, baby asleep. This is especially true for older infants. Your baby falls asleep nursing. You go to put them down and they wake up. You bring baby back to the breast, and they go back to sleep. Most parents think this means they need to sleep with baby to make sure they get a long nap. What it usually means, is baby isn't really ready for a nap. If you try to put an older infant down for a nap and they keep waking, they don't need to nap. Also, the older infant has slightly different sleep cues. Yawning and wanting to snuggle can often mean they just need a break. Older infants spend much of their time moving around. They need breaks of being more still between times when they work on new skills. My general rule for naps is: If you have spent 20 minutes working to get them to sleep and they are not staying asleep, Stop and get active. Usually in another 20-40 minutes they will be ready for a nap and sleep much better. When a infant is getting ready to drop the number of naps, you will usually see some, or all, the naps get shorter. One way to see if this is the case, is to get baby can stay up a little longer then normal. If an infant has been regularly taking a nap at 9am, they will show tired cues. This is because the brain is use to sleeping at that time. The brain triggers sleep cues automatically, even if they are not tired enough to sleep. Keeping a baby active will usually get them to push past the habitual tiredness. If you try to keep a baby who really needs a nap awake, they yell at you. So, it is usually clear if they are ready to extend the awake time or not. Some children will drop their over all amount of sleep before they can be awake for longer. This causes more shorter naps. Give them a few weeks to adjust. There is one last reason a baby may take short naps. They only need short naps. The division of day sleep and night sleep is developmental. As the sleep system develops, infants and toddler move more and more of their sleep to the night. Just like some babies walk sooner then others, some consolidate sleep sooner. If your child does a lot of night sleep, takes short naps during the day, and is a happy content baby, this may be the perfect schedule for them. One last thing about napping, where baby should nap. As I discussed last week, babies are safest sleeping in the same room as their care provider. This is true for day and night sleep. In terms of what baby should sleep in, I believe in flexibility. There is usually only one nap left for most children who are 1.5 years and older. Why are we worried about where babies sleep during sleep that is going to go away?